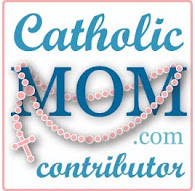 catholicmom.com- Click on the month. Scroll down to the date for Coloring Page, Mass Worksheet, Crossword Puzzle, Word Search, etc. Theresa at catholickidsbulletin.blogspot.com will post a link to an activity sheet that coordinates with the Catholic Mass. There will be pictures and activities each week to help little kids understand and appreciate the Mass. Most weeks, she will also highlight a Saint whose feast day falls within that week or a liturgical symbol they can watch for at Mass. msssbible.com-- The Prodigal Son with tons of resources for illustrating the story, coloring pages/activity sheets, crafts, and songs. calvarycurriculum.com- The Prodigal Son (Luke 15:11-32) lesson #210 with memory verses, circle the correct words, true or false, fill in the blanks, puzzles, and color sheets. kidsclub4jesus.com- Prodigal Son (Luke 15:11-32) lesson with puzzles, coloring sheet, Bible readings, questions, memory verses, key points, object lesson, drama, puppets, etc. (These files are set up and formatted so that they can be easily made into weekly booklets for your children's ministry, youth ministry, etc., with 4 sheets of legal paper and two staples). daniellesplace.com- Lesson, crafts, games, etc. dltk-bible.com- The Prodigal Son lesson with coloring pages, crafts, name tags, puzzles, games, and take home sheet. 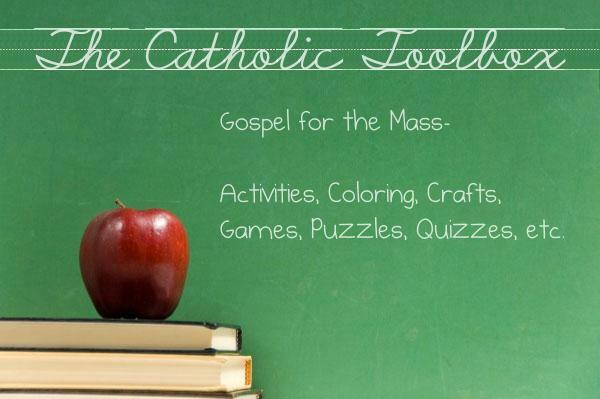 The Catholic Toolbox- Prodigal Son/I’m Sorry lesson for Pre K – K with: Objectives, Word Wall, Bible Story with questions, Songs and/or Finger Plays, Activities, Crafts, Games, Snacks, Coloring/Puzzles, etc. The Catholic Toolbox- The Prodigal Son lesson for 1st grade on up with: Objectives, Review, Vocabulary Words, Bible Story with questions, Activities, Crafts, Games, Snacks, Puzzles/Mazes/Worksheets, etc. Introduce craft: What job did the son have to do when he ran out of money? Introduce game: Who came home and said they were sorry? Lost and Found (The Parable of the Lost Son)- As they explore the story of the prodigal son, your kids will discover God loves each of us. (The Encyclopedia of Bible Games for Children’s Ministry, page 87). The Prodigal Son Comes Home Game- A fun board game about the Prodigal Son. The object of the game is to get your markers to the banquet. (Super Bible Game Book by Linda Standke, page 95 - 106 for directions, game board markers, game board, and game cards). Pin the Tail on the Pig- This is another way to do "Pin the Tail on the Donkey". Make a large pig out of pig paper. For the tail, use pink ribbon and pin the tail on the pig using a push pin. The Catholic Toolbox- Prodigal Son (file folder game)- The objective of the game is to get to the father hugging his lost son.